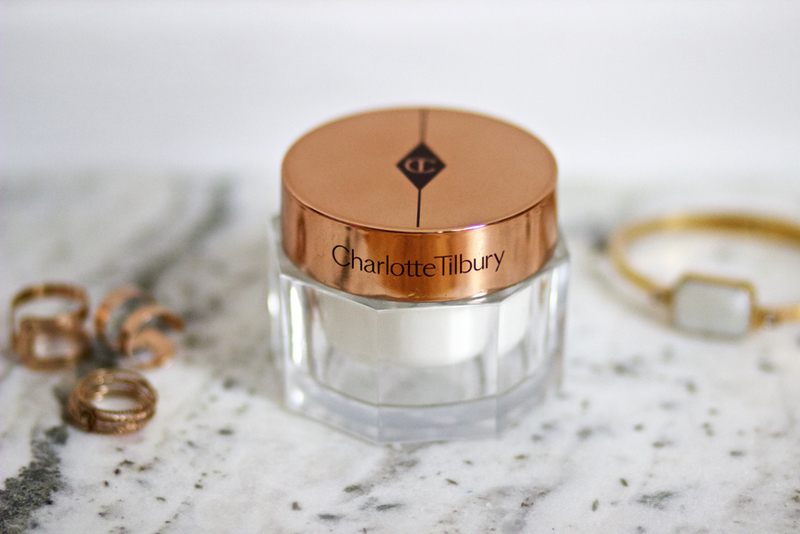 Prior to receiving anything from Charlotte Tilbury, I had only heard of her makeup products, never her skincare. So, it made for a great surprise when I received her Magic Cream because I didn't know she also had skincare under her brand. After having talked with many of you in the comments section of the initial review, you were familiar and have been using some of her skincare and shared your love for them. Let me first start off by saying that I've been consistently using this cream each morning for a few months now and love it. Most importantly, it's paraben and sulfate free, so I feel comfortable applying it to my skin regularly. The consistency is reminiscent of that of a sunblock, but it doesn't smell like one and doesn't have the heavy feeling. 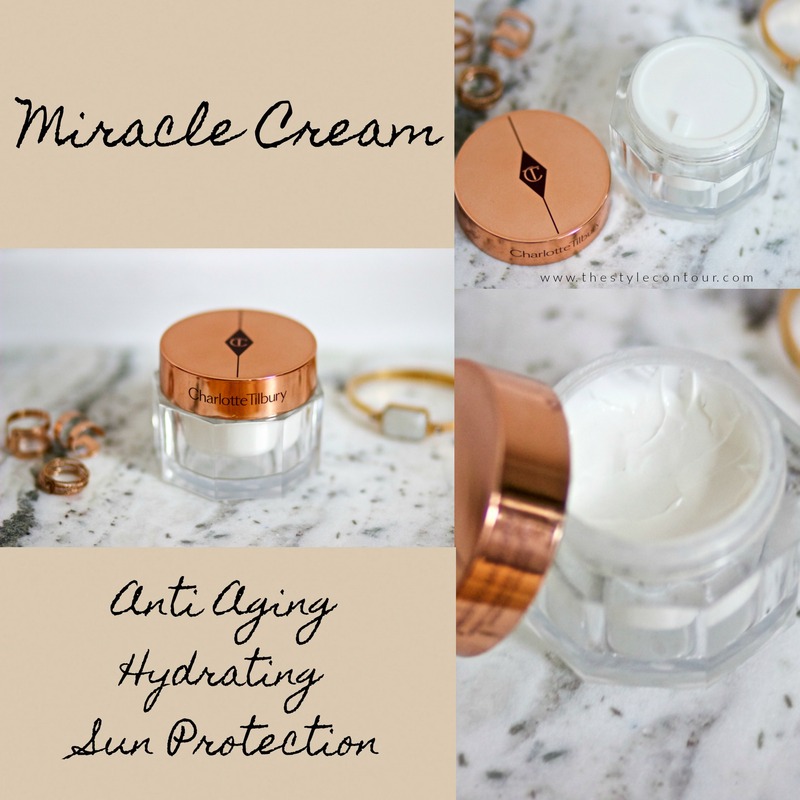 Now, it wasn't until after having used this cream for several weeks that I was aware that it actually does contain SPF 15, which made sense as to why it felt like a sunblock upon initial use. I love when moisturizers contain SPF because it cuts down on the need for the use of an additional product. An SPF of 15 will protect the skin for approximately 5 hours, so that's awesome that it's fused into the product. The key ingredients that are said to help with providing moisture and age prevention/minimize wrinkles are: hyaluronic acid (plumps the skin), rose hip oil/camellia oil/vitamin e (hydrate & promote younger looking skin), bionymph peptide complex (anti-aging) and damask rose water and organic aloe vera (rejuvenate skin). Just listing all of those ingredients that I can easily read and pronounce make me happy and to know their benefits make me even happier. Since using this moisturizer, my skin does look and feel hydrated, though I'll say that I don't typically experience dry skin, since I have a combination/oily skin type. At the same time, I've used quite a few moisturizers that do the job in keeping my skin healthy, but don't necessarily make my skin appear hydrated. You know what I mean? It sill looks rather dull. I've noticed this from taking makeup free selfies, haha. I'll even go as far as to say that I see better results with this cream than I do my beloved Olehenriksen Truth C-Rush Brightening Gel Creme. That's a pretty bold statement because I loved the creme so much that I purchased the serum in the line as well. 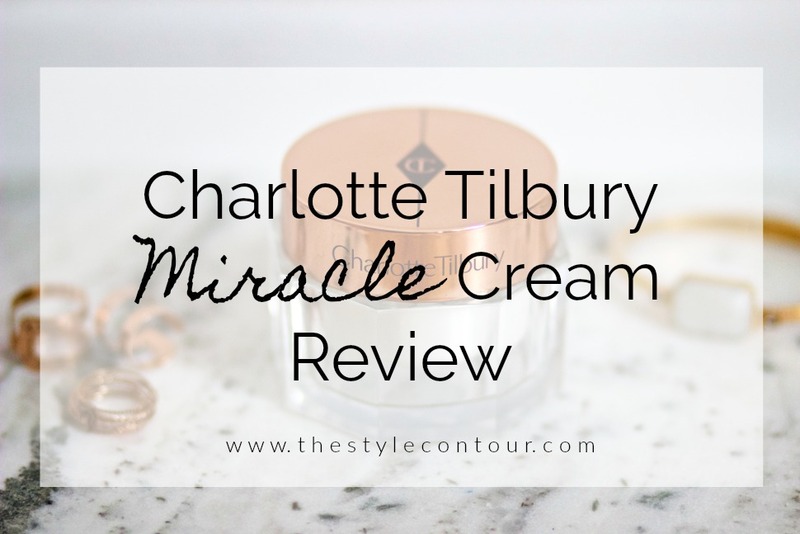 The Charlotte Tilbury one is much more expensive in comparison, but when you look at the beneficial ingredient list, the fact that it contains SPF, and as a result, it has a bit of thicker consistency, you don't have to use much product, so it should last quite a while, if you use it once a day. As you can see from the photo below, I have a ton of product left and I've been using it every morning for about 3 months now. Considering all I've just mentioned, You might think that $100 for a 1.7OZ/50ml moisturizer is a lot and while I would agree initially, the fact that the product is so dense, makes it understood and justifiable. So, if you're looking to splurge on a skincare product or treat yourself to something extra special. It is amiable in two other sizes, a larger 150ml ($255 currently unavailable on site) and a smaller 15ml ($29). I only saw all three sizes offered on her direct site, the 50ml is the only one offered on Sephora. So for that reason, perhaps you can see if you'd like to sample it out at Sephora, if at all possible to see how it responds to your skin because I don't see it listed as suitable for all skin types neither do I see it listed for any specific skin type. So perhaps it is suitable for all? I admittedly don't know. But I will say that I have sensitive skin and I didn't experience a reaction of any sort. 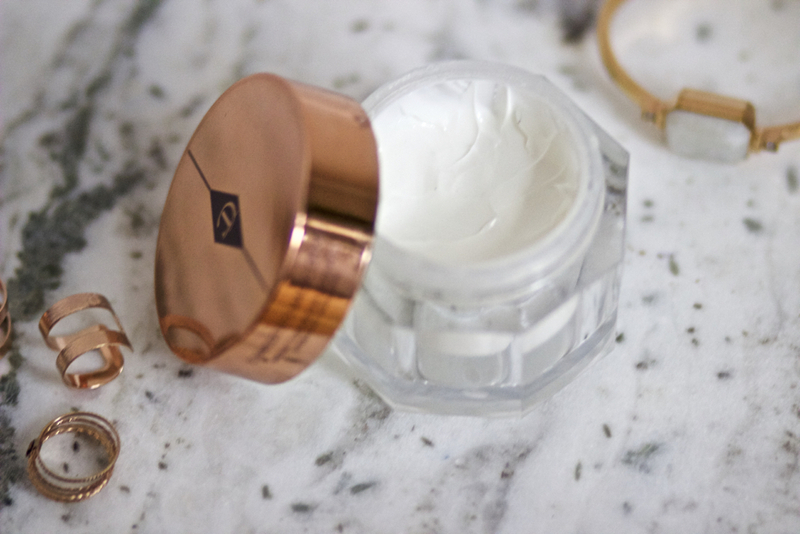 ...and when it comes to packaging, this jar is so pretty! It looks like a diamond and with the rose gold lid, it's certainly INSTA-worthy! 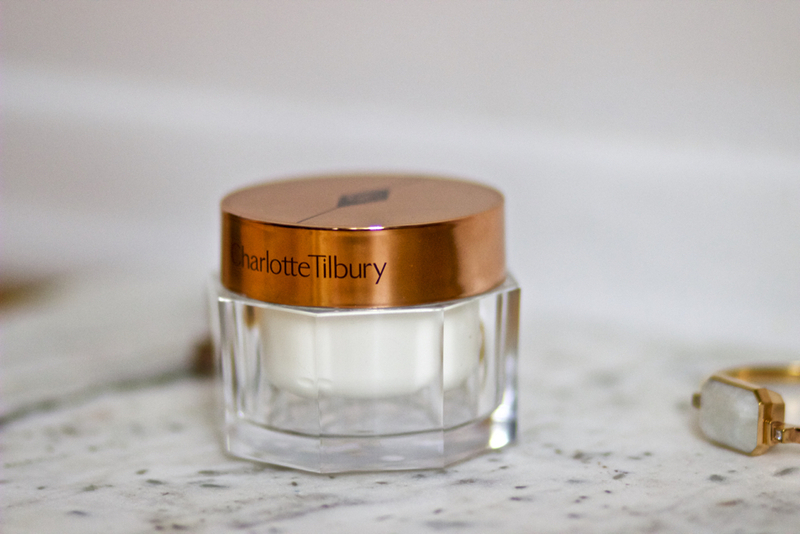 Have YOU ever tried any of Charlotte Tilbury's skincare products? What has been your experience with the brand in general? I'd love to know your thoughts and suggestions as well! Thanks so much for stopping by and I hope you have a wonderful holiday weekend, my beautiful friends!